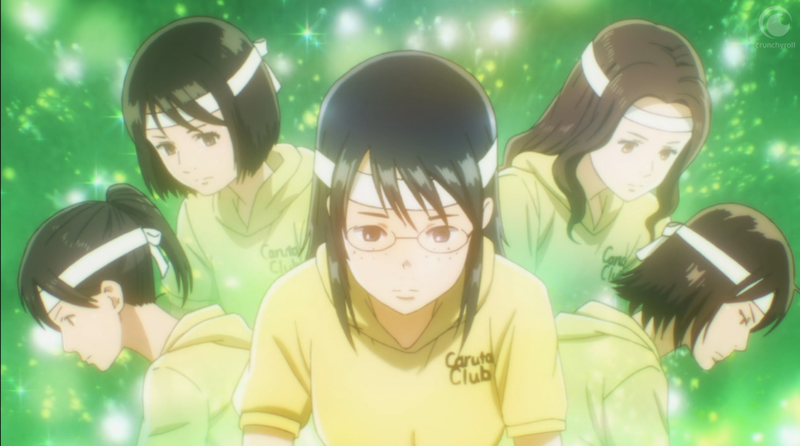 Recap: The fight between Chihaya and Megumu gets heated as we get more time to understand our opponent’s point of view. 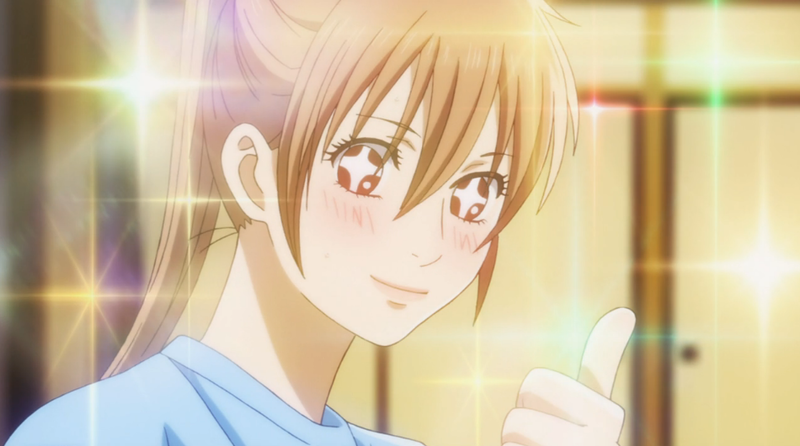 For the first time I’m starting to get weary of how slow Chihayafuru is going. I was somewhat disappointed that we still haven’t reached the end of this fight after this episode. 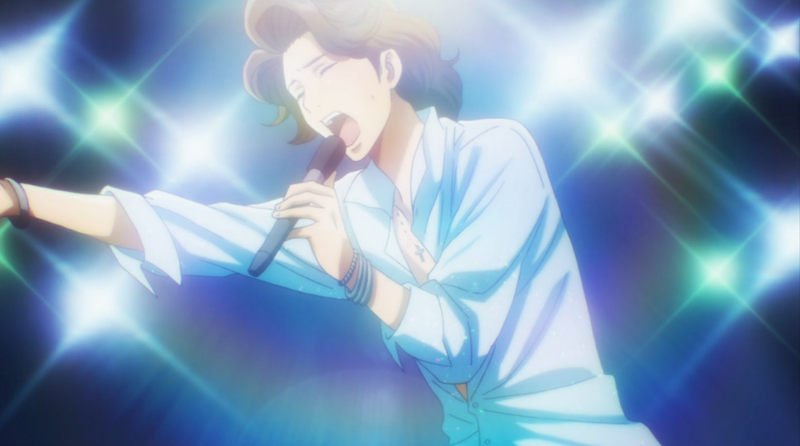 I suppose I’m just gearing my expectations to what happened last season, but while it only took one episode to beat the menacing Sudou we’re spending a whole three on Megumu. I hope the championship isn’t even longer. I enjoy these karuta matches, but I feel they’re not the kind if think you should drag out by any means. Still, this was definitely the episode us sports fans were waiting for. The back and forth in the playing made it really gripping. The show really isn’t getting me to sympathize with Megumu any more for having her motivation basically seem like she’s a pushover. If she doesn’t want to be queen, what’s she doing in karuta in the first place? I suppose Chihaya might be slowly changing her. The best scene this episode, well after that winning smile from Chiahaya at least, was the two of them walking lockstep to contest a card. It is strange how little we’ve seen of how other player’s games have been going. It’s a shame that Nishida seems to have been suffering the Worf effect lately, continually getting beaten by tough opponents just to show how close the match going on is. At least we did see Komano getting back in the groove after a long time on the sidelines. I’m hopin he’ll be able to pull off a win, but with his status as the team punching bag I’m still worried. I’m a bit sad we weren’t able to see the conclusion this week, but with both aces fired up I’m really looking forward to the finale. Komano basically entered Sherlock mode. I too was surprised the match wasn’t finished in this episode. Probably makes sense for Megumu to have more air time than Sudo (make install //sorry couldn’t resist) since Chihaya is facing a contender for the most powerful in-universe karuta player.